European Parliament appeal for immediate and safe release of Nnamdi Kanu and his co-defendants Benjamin Madubugwu and David Nwawuisi ahead of tomorrow 5th October 2016, the day ECOWAS Court sitting in Abuja Nigeria will commence hearing on the suit filed by Nnamdi Kanu in violation of his rights by Nigerian govt. 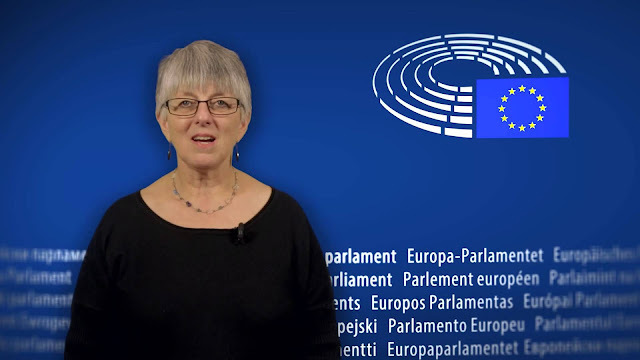 A member of European Union Parliament Julie Ward presented the motion during the parliament section on 4th October 2016 demanding for the immediate and unconditional release of Nnamdi Kanu, the leader of Indigenous people of Biafra(IPOB) and his co-defendant as directed by Nigerian court. She stated that, "since October 2015 Nnamdi Kanu a British citizen and leader of Indigenous people of Biafra(IPOB) has been unlawfully imprisoned by Nigeria's department of security service(DSS) despite the fact that all criminal charges against him were dropped and the court order has been issued for him to be released on bail". she quoted chapter 4 section 39 of Nigerian constitution that empowers everyone to hold his/her opinion and freedom of expression. She, therefore, call upon Buhari to uphold the Nigerian constitution to ensure Nnamdi Kanu immediate and safe release as well as his co-defendants Benjamin Madubugwu and David Nwawuisi. She also said Nigerian govt must guarantee freedom of expression of Biafrans including rights to protest without intimidation and end violent towards them. she called on European Parliament to prevail on tyrant Buhari to respect human rights and stop the violence against Biafra restoration supporters.